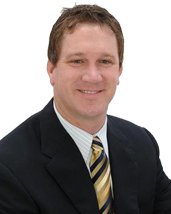 Steve Bauer has nine years of experience in mortgage lending. He enjoys building his business and meeting new people every day. Steve grew up on a family farm in McHenry County where he learned the importance of a strong worth ethic and developed a sense of responsibility at a young age. He uses these simple values in his daily business activities. Steve and his wife Elisa live in Plano, Illinois, with their two little girls, Ava and Grace. He continues to be close to his family and work on the family farm as much as possible. When he has free time he enjoys socializing, working in his garage, and riding anything with a motor.